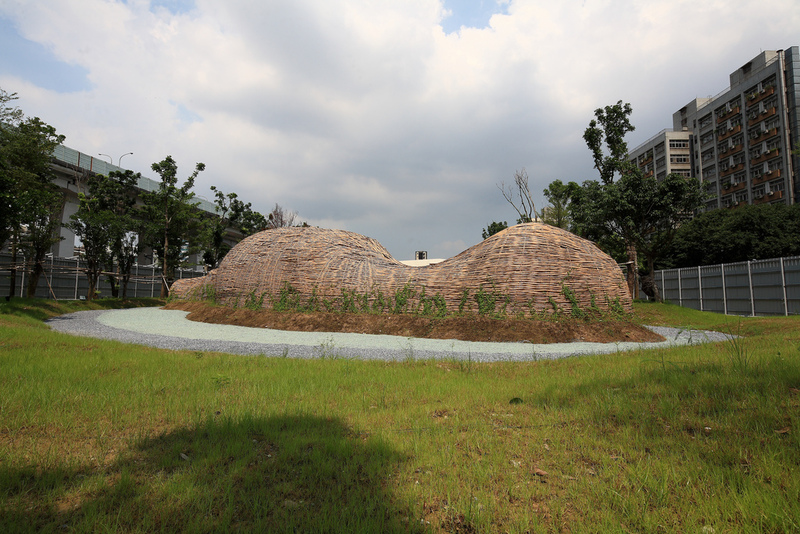 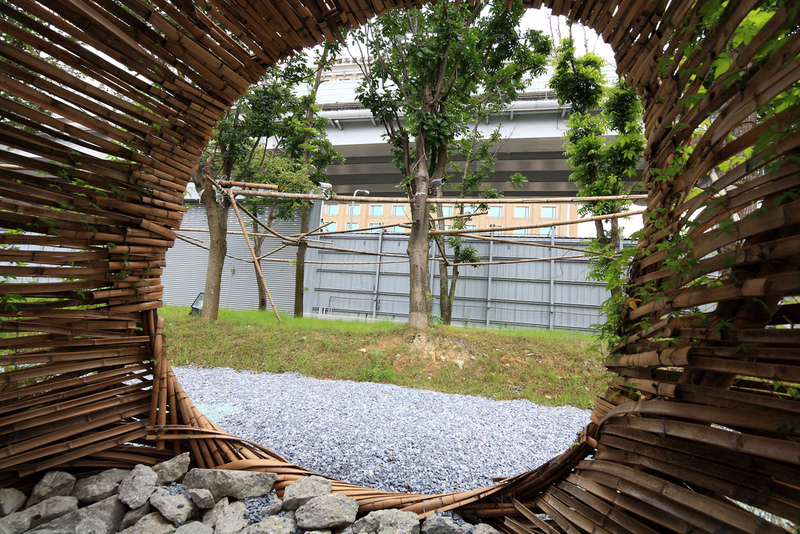 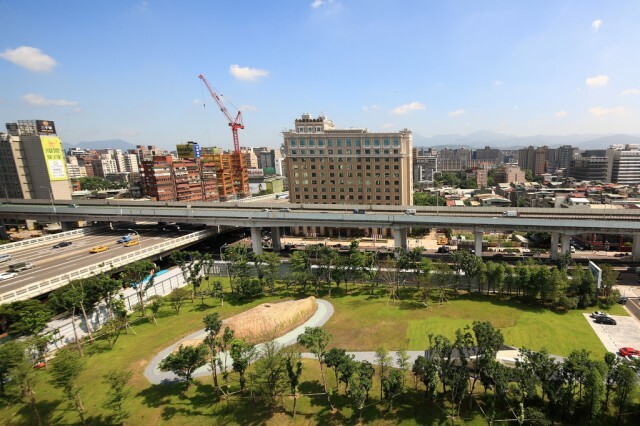 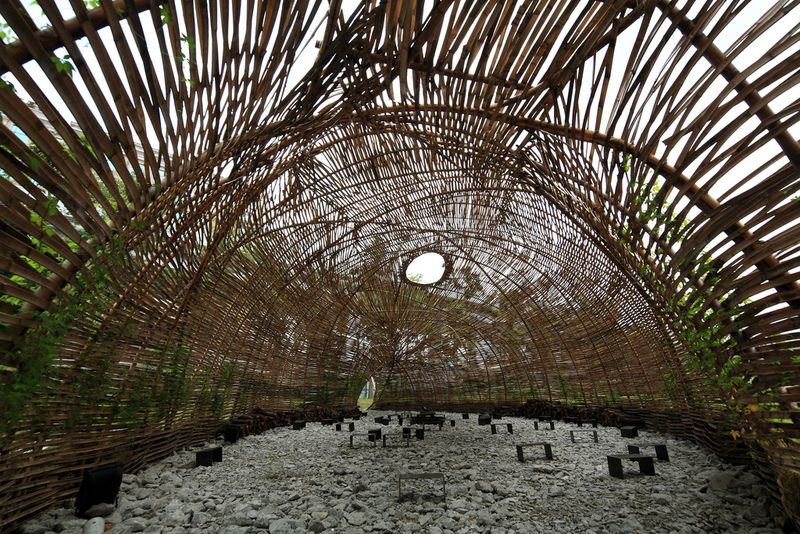 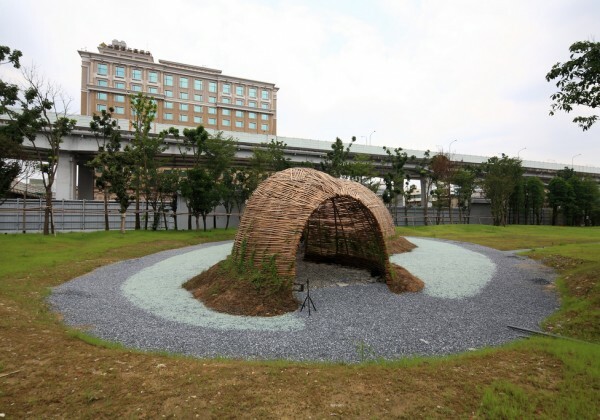 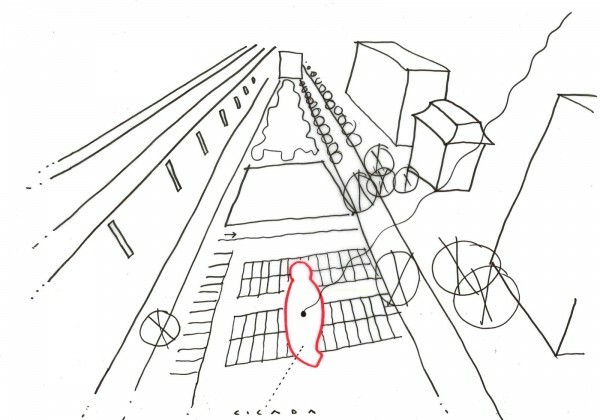 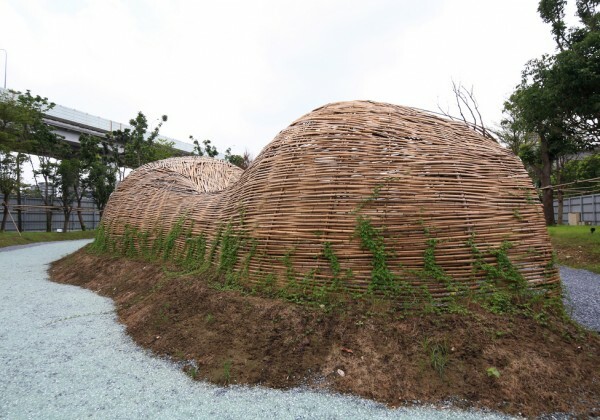 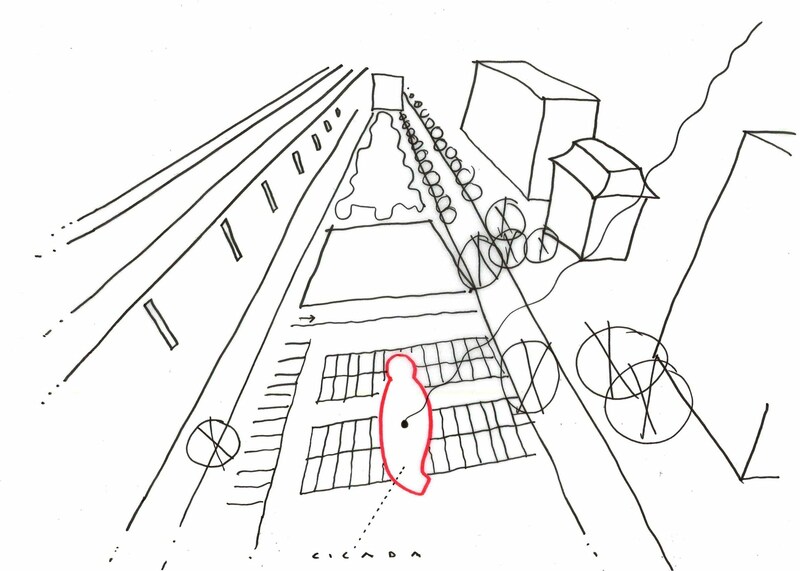 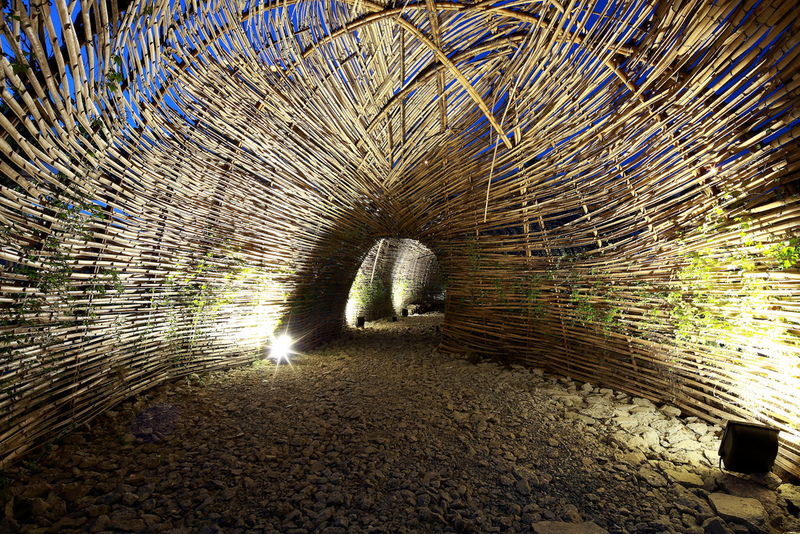 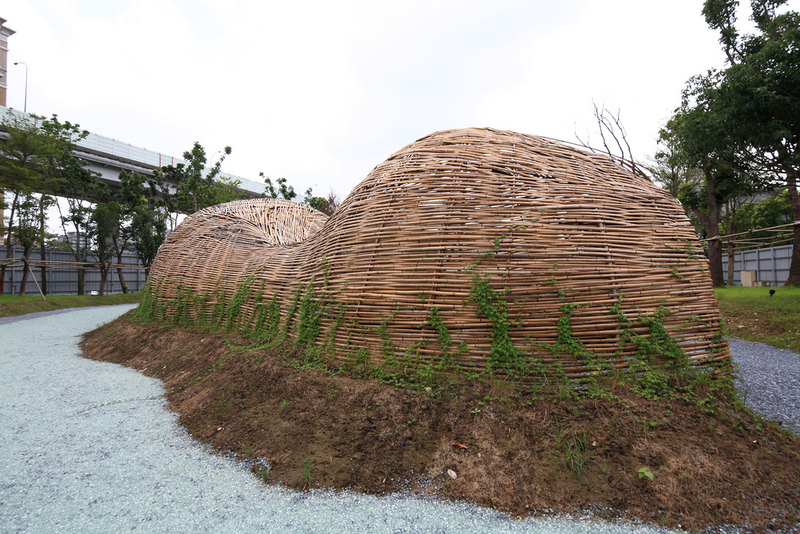 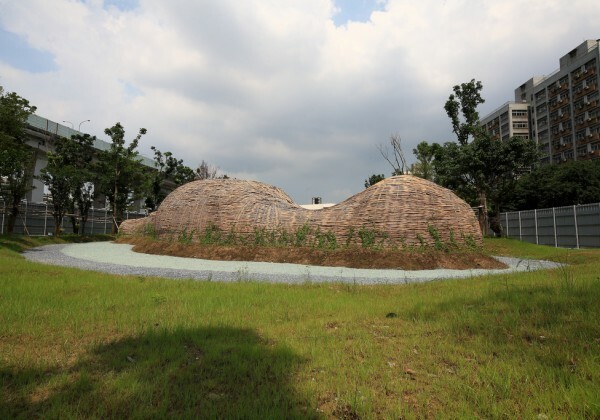 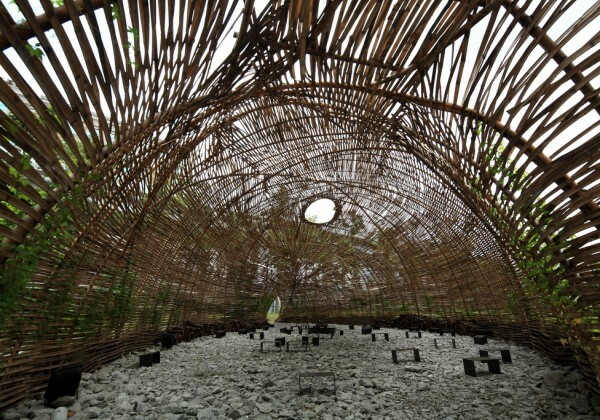 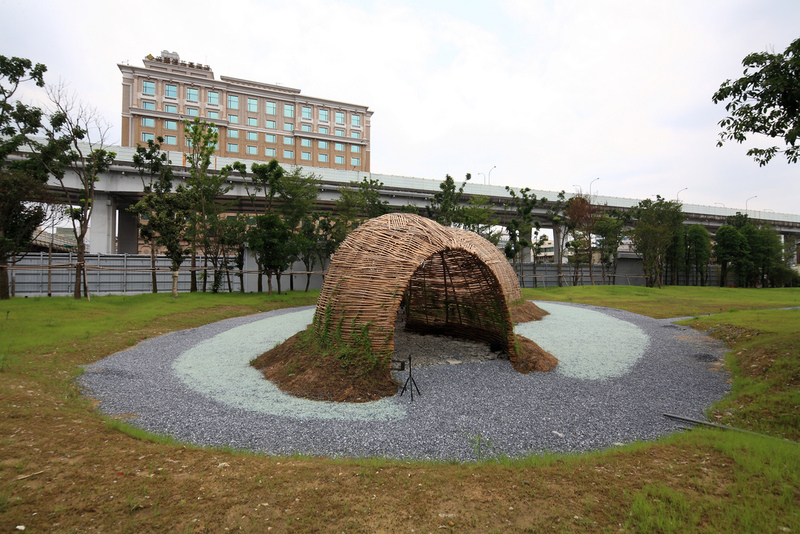 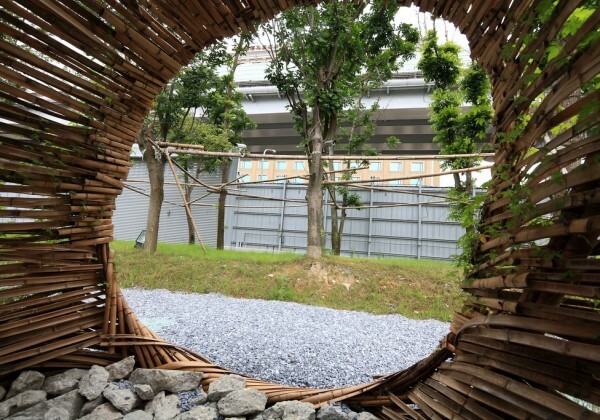 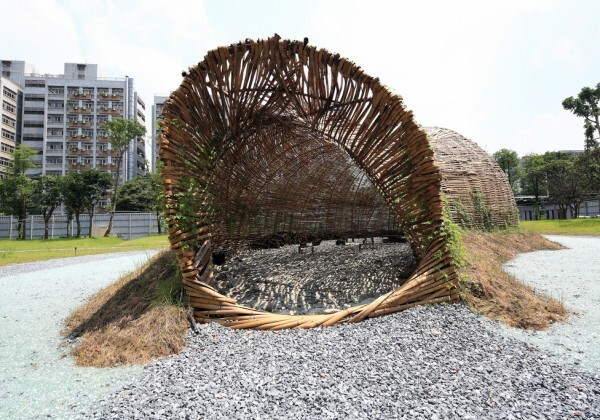 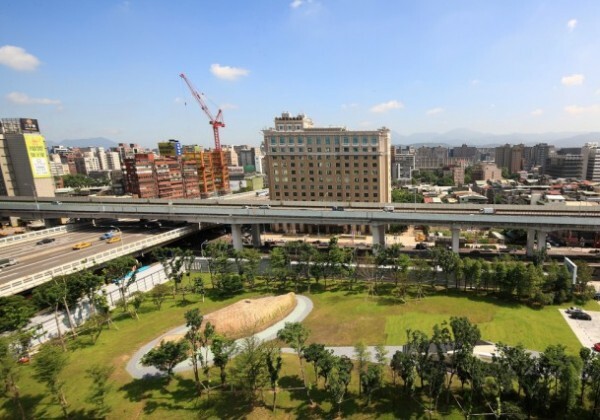 ‘Cicada’ is a cocoon-like spatial installation in a highly industrial region of Taipei, Taiwan. 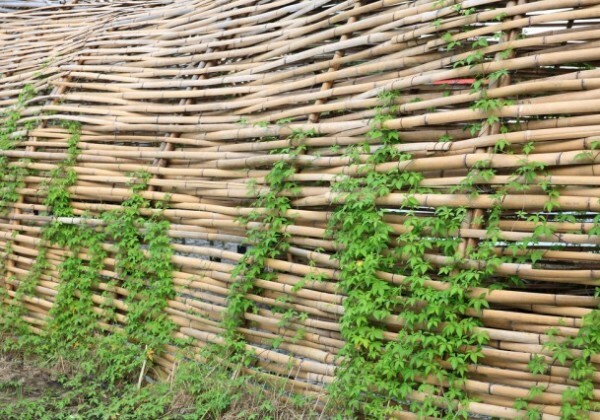 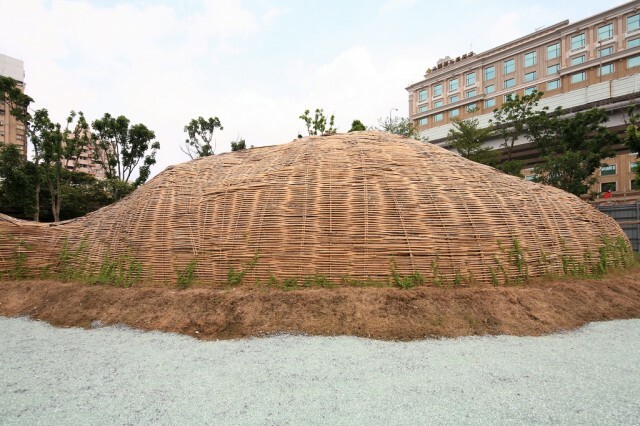 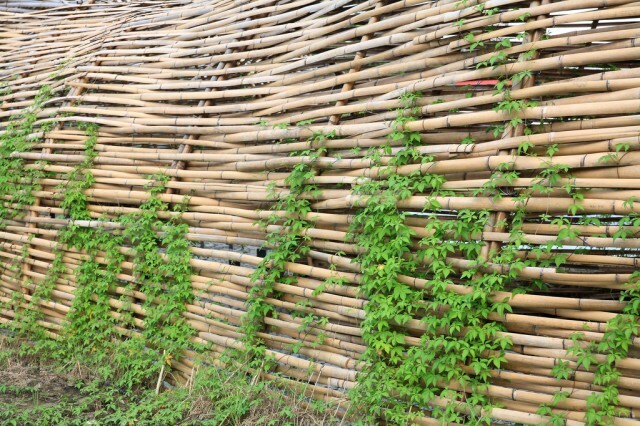 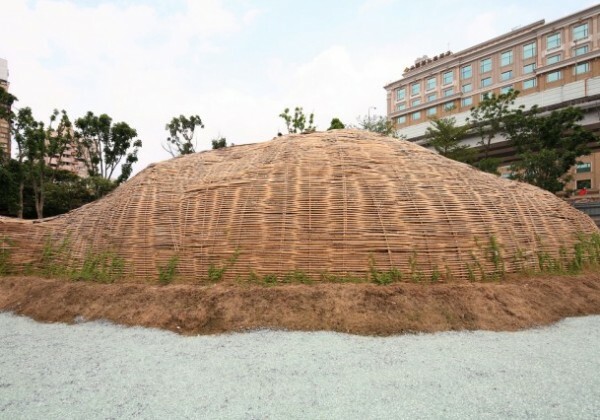 Conceived as ‘urban acupuncture’ for the city, the bamboo structure loosely envelopes an organic volume which responds to the human scale. 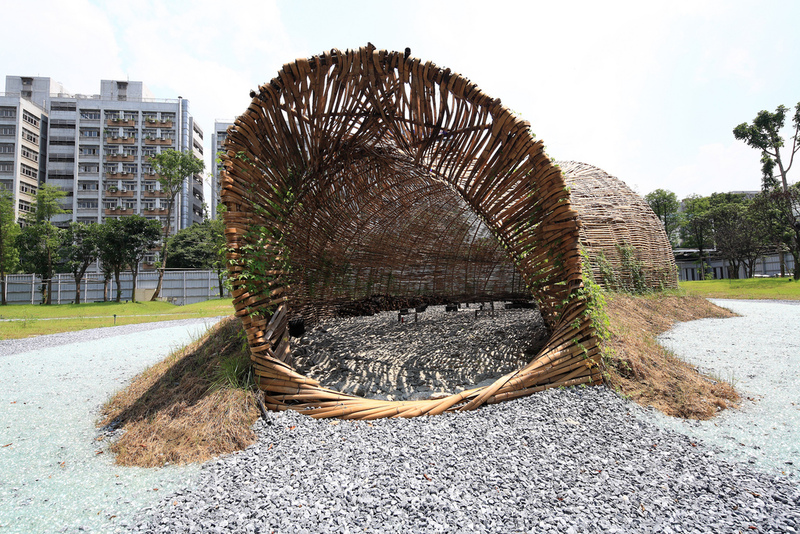 Measuring 34 meters in length, the inhabitable shelter sits on a small strip of green amidst busy roads and an elevated train track. 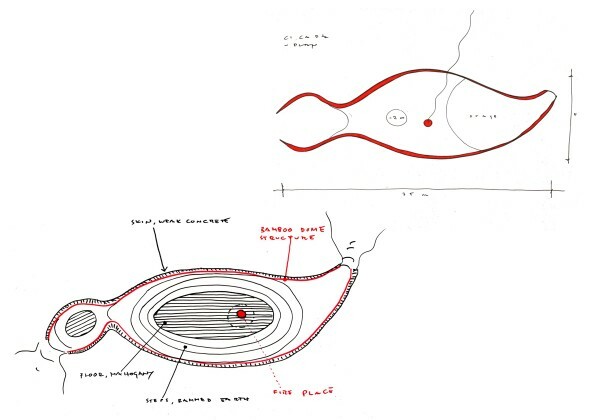 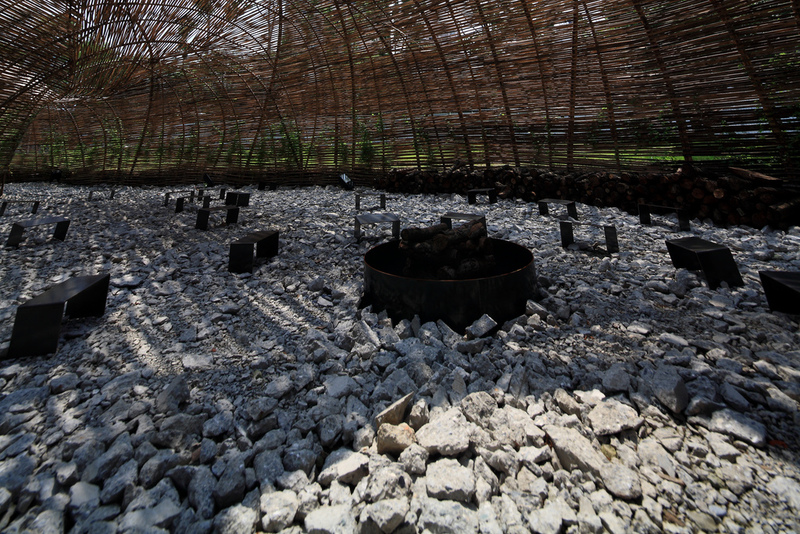 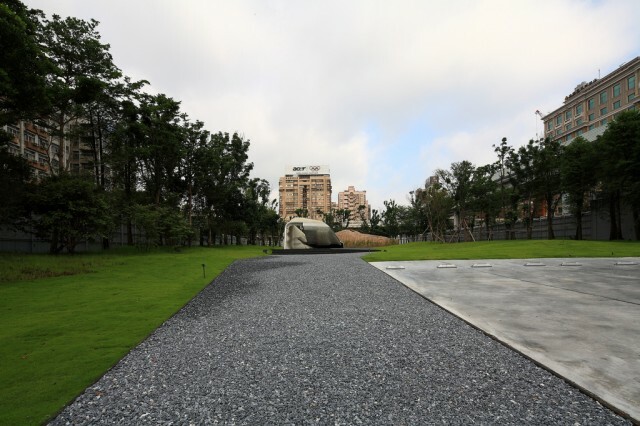 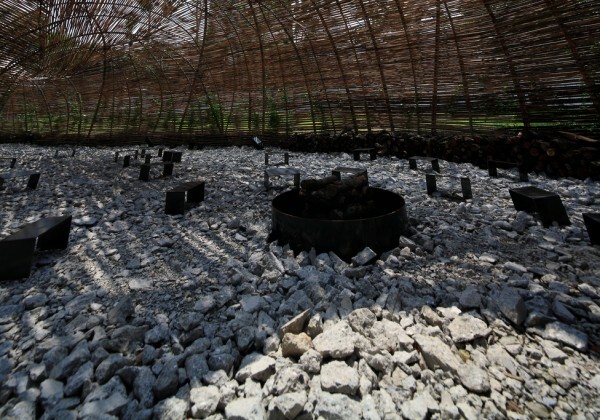 The surrounding ground features a oval footprint of broken rocks and concrete, defining a walkway that eventually leads to the entrance of the installation. 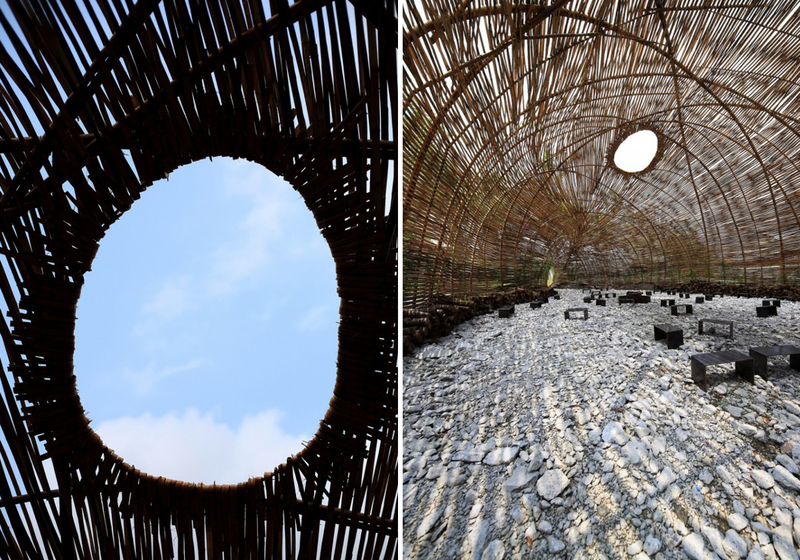 Strips of bamboo are woven through a simple criss-crossing armature, resulting in a permeable shell that filters sunlight into the interior. 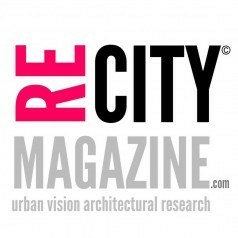 The ambience of the city remains present but diluted within the structure. 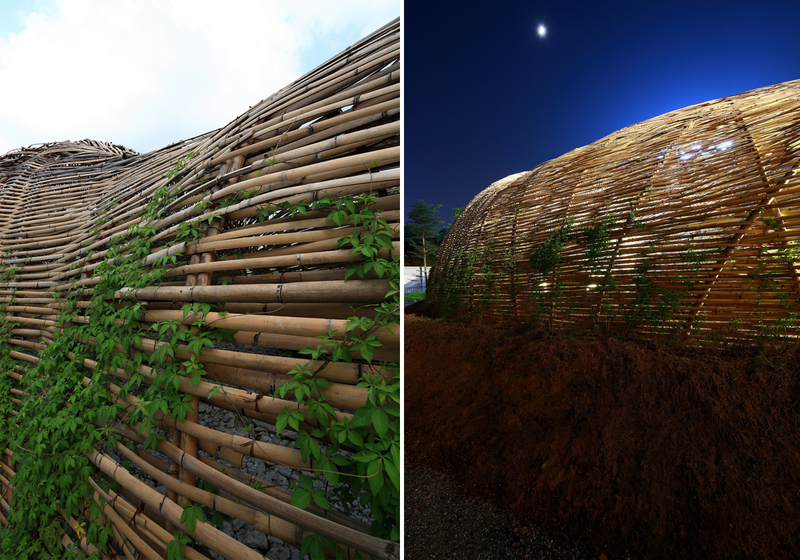 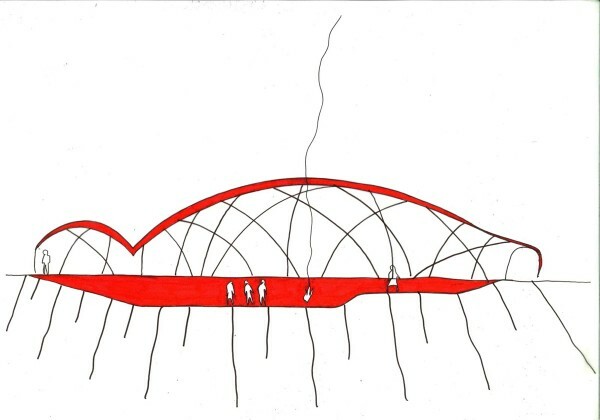 Undulating slightly in its height, ‘cicada’ is designed to perform as a public forum for visitors. 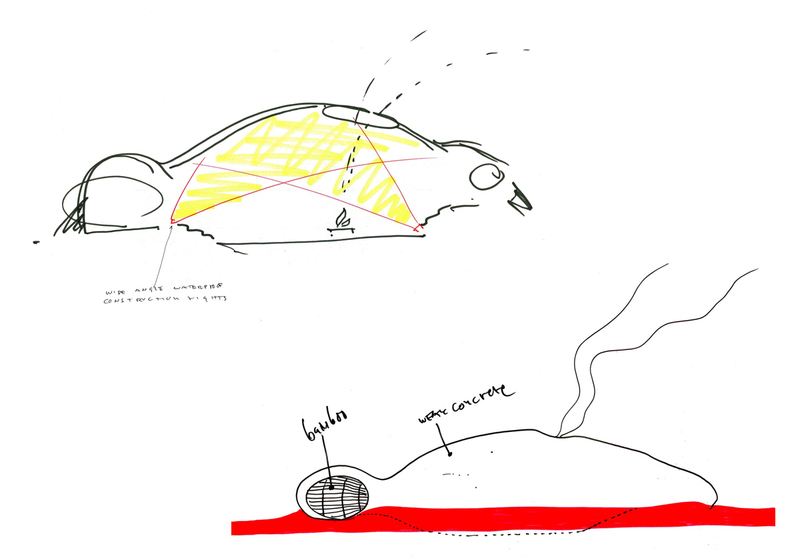 The layout is loose and accommodating, revolving around a central fireplace situated under an aperture in the roof. 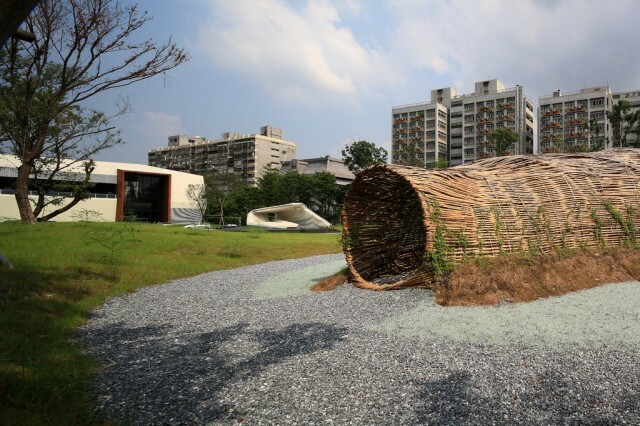 Small benches provide flexible seating along the length of the installation.